Amid a recent spike in violence in eastern Ukraine, a new bill to be introduced in the US House of Representatives proposes dramatically cutting military aid to Kiev, including lethal weapons, as well as logistical and intelligence support. Reducing military-related costs inherited from the Obama administration is said to be the bottom line of the new 2017 Defense Appropriations bill, according to the House Appropriations Committee’s press release published on Thursday. The bill is due to be heard in the House next week. Notably, the use of funds “to procure or transfer man-portable air defense systems” is prohibited in the 2017 bill. Low-intensity violence in eastern Ukraine quickly escalated in early February after Ukrainian government forces shelled the town of Avdeevka, which lies just 10 kilometers from Donetsk. Tanks, heavy armor, artillery, and multiple-launch rocket systems were used in what Ukrainian Deputy Defense Minister Igor Pavlovsky called a “meter-by-meter, step-by-step” advance towards Donetsk. Reports from the OSCE’s Special Monitoring Mission (SMM) also confirmed that heavy weapons, which have long been banned under the landmark Minsk agreement, had been moved closer to the disengagement line. In a February interview with Ukrainian and Russian media outlets, including RT, Ukrainian President Viktor Yanukovich, who was toppled in the 2014 Euromaidan coup, said that Kiev’s crackdown on eastern Ukraine amounted to a declaration of war on its own people. “Of course, everyone who took part in this decision must be held responsible. 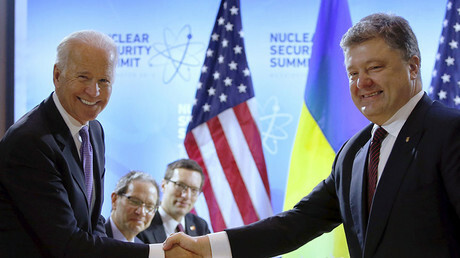 This is a crime against their own people,” Yanukovich said. “The current authorities did not make a single attempt to talk to the people, who were against the coup,” he argued, adding that, instead, Kiev simply “divided the country into winners and losers,” prompting the alienation of the eastern regions. 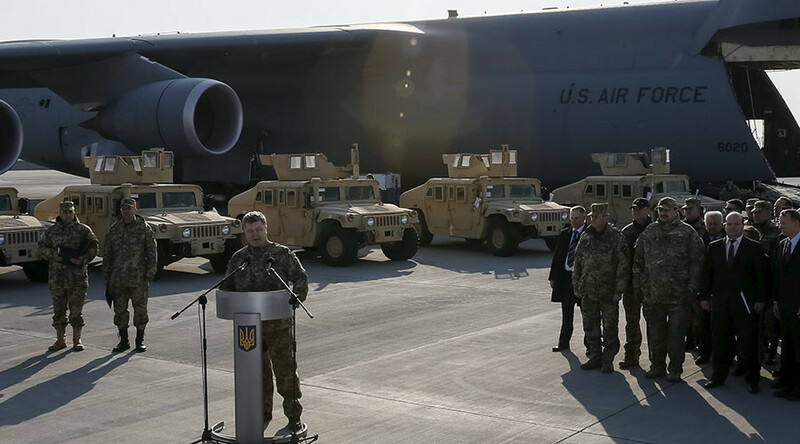 Despite the rising civilian death toll in eastern Ukraine, the US and its NATO allies have been actively integrating Kiev’s forces into Western military structures. US Army-run exercises dubbed ‘Rapid Trident’ have been held in western Ukraine annually since 2014, while Ukrainian soldiers are often seen at various NATO-led war games in the Baltics and eastern Europe.